The Chartered Institute for the Management of Sport and Physical Activity (CIMSPA) can reveal that the new edition of the Health and Safety Executive’s Managing Health and Safety in Swimming Pools guidance publication will be exclusively unveiled on Day 2 of the forthcoming CIMSPA & Quest NBS Conference, 20-21 February. 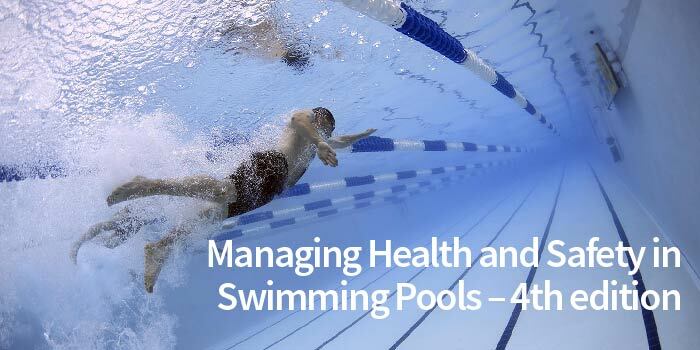 Managing Health & Safety in Swimming Pools is the landmark publication used by operators to guide them through what is arguably the most complex facility management challenge in the sport and physical activity sector – safe swimming pool operation. HSE’s Cameron Adam, Principal Inspector and Frances Kelly, HM Inspector of Health & Safety, will highlight the main thrust of the new edition’s changes and additions and explain where other essential sources of information can be found. Speaking about the document launch, Tara Dillon, CIMSPA CEO said: “It’s now 30 years since the original Safety in Swimming Pools document came out, and 14 years since the last edition, so this moment is long-awaited and CIMSPA is very pleased that our conference has been chosen for the launch. “The new edition has been developed through considerable consultation with frontline operators and, with an increasingly complex litigation landscape recently affected by big changes to sentencing guidelines, ensuring compliance with the new guidance will be a priority for operators. Delegate fees for Day 2 start at just £85+VAT, with a bundle ticket for both event days just £200+VAT – including evening reception ticket (normally £40+VAT). For full details of the Day 1 conference programme, presented by Quest NBS and the Day 2 programme, presented by CIMSPA, follow the link below.